Federal Motor Carrier Safety Administration (FMCSA) regulations 49 C.F.R. 383.155, and New Jersey regulations, N.J.A.C. 13:21-23.20, require all Commercial Driver Licenses (CDL) and Commercial Learner Permits (CLP) to meet the same tamper-proof requirements as non-Commercial Licenses. Therefore, the Motor Vehicle Commission (MVC) no longer issues paper Commercial Learners Permits (CLP). The paper document has been replaced by a digital CLP in the same format as the current CDL. When issued, a CLP is valid for 180 days and must be accompanied by a New Jersey driver’s license if operating a commercial motor vehicle (CMV). CLP applicants are required to submit a CDL Holder Self-Certification form and a valid (unexpired) medical examiner’s certificate, if required. If a federal medical variance has been issued, it must also be submitted to the MVC prior to the issuance of a CLP. The CDL Holder Self-Certification document is available on this website or at a motor vehicle agency. A sample copy of the medical examiner’s certificate is also available on this website. Applicants must carefully review the commerce categories listed on the CDL Holder Self-Certification document and choose the category that best fits the type of commerce in which they plan to operate. Failure to submit a signed CDL Holder Self-Certification form will result in the denial of a CLP, and you will not be legally permitted to practice driving a CMV. Note: All drivers under 21 years of age are allowed to operate only in intrastate (within NJ only) commerce and must check either commerce category box 3 or 4 on the CDL Holder Self-Certification document. CLP applicants who intend to meet the excepted interstate (category 2) or excepted intrastate (within NJ only) (category 4) requirements will only need to submit the CDL Holder Self-Certification document, and are not required to submit a medical examiner’s certificate or variance unless they have a passenger (P) endorsement on their CLP. CLP applicants listed as non-excepted interstate (category 1) or non-excepted intrastate (within NJ only) (category 3), must submit a valid (unexpired), fully completed, legible medical examiner's certificate. 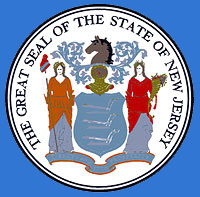 New Jersey regulations require all passenger (P) endorsement holders to submit a medical examiner’s certificate to the MVC regardless of the type of commerce in which they operate. All medical examiner’s certificates must be completed by a federally certified medical examiner. To locate a federally certified medical examiner near you, please visit the federal website. Failure to submit a valid, federally certified medical examiner certificate or variance will result in the denial of your CLP and you will not be legally permitted to practice driving in a CMV. In addition, CLP holders will now incur the same enhanced penalties for all moving traffic violations as a CDL holder. Please refer to the CDL manual for more CLP information, or contact the MVC’s CDL Unit at 609-292-7500, ext. 5077 for assistance.